Thermo Fisher Scientific and Genovis, a provider of enzyme products for biological drug development, announced a collaborative research project. The aim of the collaboration is to develop advanced end-to-end workflows for the preparation, characterization and monitoring of novel and complex biotherapeutics using liquid chromatography-mass spectrometry (LC-MS). 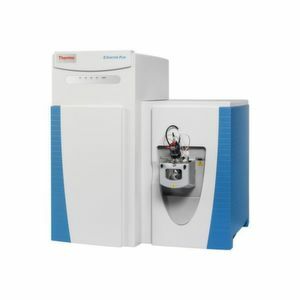 Sunnyvale/USA — Bringing together Thermo Fisher’s LC-MS technology with the advanced enzyme-based sample preparation and analysis techniques of Genovis is to enable the development of robust, automation-ready, magnetic bead and chromatography-based workflows for the streamlined analysis of biotherapeutics. Expertise from Thermo Fisher’s Global Customer Solution Centers will also help the partner to determine optimal hardware/software configurations and suitable consumables for critical quality attribute (CQA) analysis of biotherapeutics during the research and development phase. By collaborating with Genovis, the company plans to develop comprehensive workflows that provide robust and advanced solutions for preparing and assessing complex biotherapeutics. 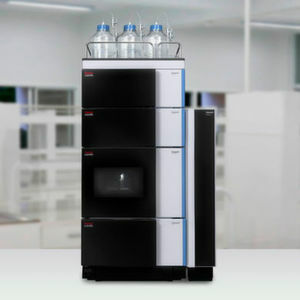 The combination of the Thermo Scientific Vanquish Duo UHPLC Systems (with Dual LC workflow) and the Thermo Scientific Chromeleon Chromatography Data System (CDS) Software with the SmartEnzyme technology from Genovis will enable the development of LC-MS-based protocols for O-glycosylation profiling and automated high-throughput workflows for CQA analysis of monoclonal antibodies at the subunit level.